So maybe you're asking yourself, "What's a Tweet Chat? ", well I'm here to tell ya! A tweet chat is the easiest communication forum you can participate in (at least in my professional opinion). A Tweet Chat is an online discussion using Twitter. Because it's on Twitter, anyone with a Twitter account can participate in a Tweet Chat as long as they know the appropriate hashtag. Before even registering for this course I was participating in a Tweet Chat with the primary teachers at my school along with two other schools in our district. We were using Twitter to host our book studies. 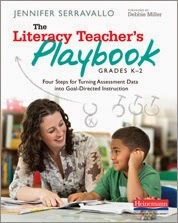 The first book we studied was Jennifer Sarravallo's book The Literacy Teacher's Playbook. You can find Jennifer Sarravallo on Twitter here. Each week we were assigned a different section of the book and then we'd come together on Tuesday nights at 7 p.m. to tweet using a common hashtag #LitCBC (CBC standing for Claymont Elementary, Barretts Elementary and Carman Elementary). The instructional coaches from the 3 buildings took turns facilitating each Tweet Chat and the K-2 teachers from each building would discuss the book each night via Twitter. 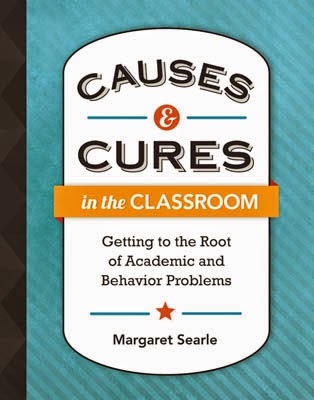 The Tweet Chat that I'm currently involved in is another book study, but this time it's on Margaret Searle's book, Causes and Cures in the Classroom. You can find Margaret Searle on Twitter here. This tweet chat also takes place on Tuesday nights at 7 p.m. and each week teachers from my building come together to discuss our assigned reading. We use the hashtag #PKWYBar. What I like about this Tweet Chat is that our whole building is participating in it (classroom teachers, specialists, counselors, our special education department, etc.) so it's been great getting a wide variety of answers and viewpoints. Obviously, both Tweet Chats have a similar vibe since we are discussing educational books in each one, but there is a much different feeling when tweeting with people from my building and then when people from other buildings tweet with us. I felt as if our Causes and Cures tweet was a little more active because people felt more comfortable tweeting with an audience that they know. However, it was great tweeting with teachers from other buildings because we gained valuable insight that we didn't have before. I learned a lot from participating in these Tweet Chats. I felt that the use of Twitter for a book talk was very appropriate and it provides the reader with a stronger sense of purpose when reading - knowing that you will not only be talking with your colleagues about the book, but posting about it on a public forum like Twitter. I took away a lot of useful resources I was able to bring right back to the classroom. If your school hasn't done a Tweet Chat I would highly recommend it. It's a great way to get everyone talking - even those wall flowers. Here's some helpful starter points that I've learned from our Tweet Chat facilitators. Host a test run. For some people in your building tweeting will be brand new. Set aside some time that you can work with them to be sure their tweets come up and to help them through any questions they may have. Create a schedule and send it out early. Let your participants know what they will be expected to discuss each week (if your Tweet Chat runs over several weeks). Send out the questions ahead of time! I love to know what I'm going to be expected to talk about ahead of time and your participants will too. Having only 140 characters is tough, especially when you have a lot to say. Take some time to sen out your questions before the chat so that people will have a chance to compose their answers. Identify common abbreviations ahead of time. For us we always said 'Ss' for students and 'Ts' for teachers. Having a common list of abbreviations everyone can use will help keep your character count down. Obviously, our Tweet Chats took place after school hours. One of the most challenging parts of participating in a Tweet Chat is that you really need 1 hour of uninterrupted time. As much as I would love to have Grey's Anatomy playing in the background, I'd find myself re-watching the show later on. Participating in a Tweet Chat really calls for your undivided attention which can be hard in the evenings when we've got so much going on. First and foremost I've gained a ton of new followers and a lot of valuable connections with teachers who I might not usually see in the building. It's nice to know that I share the same concerns of my 2nd grade students as a teacher in 5th grade. Sometimes your building can become so separate once everyone gets in the swing of things, but these Tweet Chats have been great to bring us back together as a whole. It's clear through our Tweet Chats that we're all working towards the same goal. I'd love to hear from you. Have you participated in any Tweet Chats? If so, how do you think they went? Twitter Chats are perfect way to communicate about a book study. I encourage you to participate in a Tweet Chat with others not from your school/building as well. It is good to connect within your organization, but it also good to bring in new ideas from those outside your organization. Your "Tips for Hosting Tweet Chats" are right on target. Do you have any advice for someone participating in a chat for the first time?